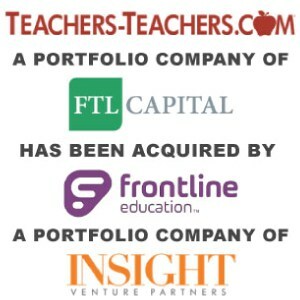 Frontline Education Acquires Teachers-Teachers - Berkery, Noyes & Co., LLC. MALVERN, Pa., April 18, 2017 /PRNewswire/ — Frontline Education has acquired Teachers-Teachers, a national job search resource that connects more than 2,000 educational organizations nationwide with the best of more than one million candidates. This marks the sixth acquisition in 18 months for Frontline, making it the nation’s leading education software company, now serving more than 9,500 K-12 organizations across the country. Frontline Recruiting and Hiring is a core solution within the Frontline Insights Platform and Frontline’s industry leading job search resource, K12Jobspot, currently lists more than 90,000 jobs from over 3,500 districts nationwide. Teachers-Teachers increases efficiencies in recruiting for education organizations by offering one of the most proactive and user-friendly web-based applications for recruiting and hiring. While district recruiters can actively reach out to qualified candidates with unlimited job postings and national job board aggregations, applicants can expand their job search and increase their visibility with hiring professionals across the country using Teachers-Teachers free and efficient service. The acquisition will extend the resources and reach for Teachers-Teachers while enhancing the Frontline Recruiting and Hiring solution for educators and administrators through one-click application and targeted, proactive recruitment of millennial teachers – a historically difficult segment to attract. Teachers-Teachers was advised in this transaction by Berkery Noyes. Teachers-Teachers is a job search resource dedicated to elevating the quality of education worldwide by efficiently connecting outstanding educators with school systems. This service is provided at no cost to candidates seeking jobs as educators, administrators or related services personnel and provides an effective way to find great education jobs nationwide. There are over 2,000 school systems across the country currently using the Teachers-Teachers solution to recruit qualified education personnel. Since launching in 1999, Teachers-Teachers’ educator recruitment platform has grown to more than one million registered teachers. Frontline Education is an integrated insights partner serving more than 9,500 K-12 organizations and millions of educators, administrators and support personnel in their efforts to develop the next generation of learners. With more than 15 years of experience serving the front line of education, Frontline Education is dedicated to providing actionable intelligence that enables informed decisions and drives engagement across school systems. Bringing together the best education software solutions into one unified platform, Frontline makes it possible to efficiently and effectively manage the administrative needs of the education community, including their recruiting and hiring, employee absences and attendance, professional growth and special education and interventions programs. Frontline Education corporate headquarters are in Malvern, Pennsylvania, with offices in Andover, Massachusetts, Rockville Centre, New York and Chicago, Illinois.